Helping others succeed is a the most direct way to your greatest success. 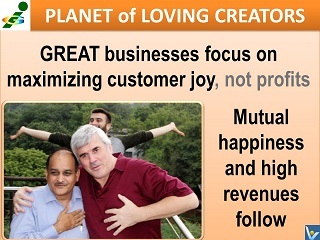 Love your customers and strengthen your bond with them to grow your mutual accomplishment. Your customers are concerned about their own success, not yours. 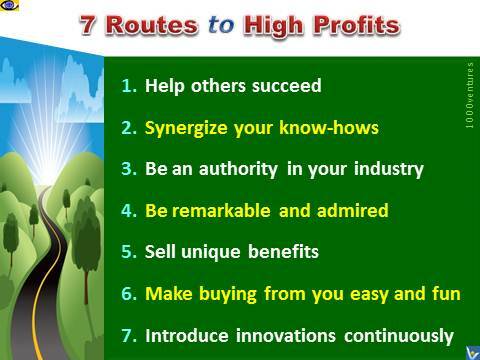 They seek out products and producers that are best able to satisfy their requirements. 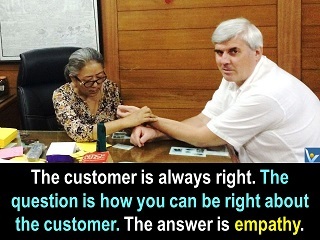 Sell by helping customers succeed. Demonstrate how what you offer will help them solve their problems, achieve their own goals, and feel better. Differentiate your value offerings so that your prospective customers understand that the benefits you offer them are unique. When you do that, you also establish yourself as an authority in your industry, someone who is knowledgeable and trustworthy. Engage emotionally with your clients, make buying from you easy and fun, and your profits will grow. 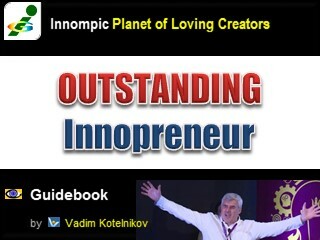 Create a daring entrepreneurial vision. The bigger market you disrupt the more revenue you generate. 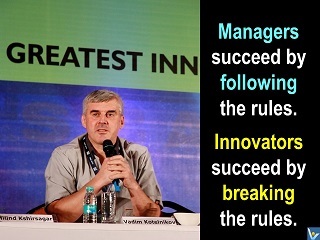 Innovate continuously to make your customers – and your team – happier and to stay unique. 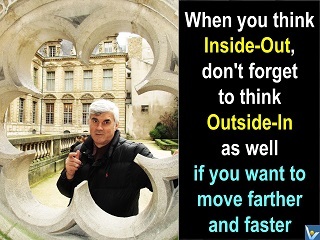 Introduce radical value innovations to create new market niches and become an acknowledged leader in that niche. 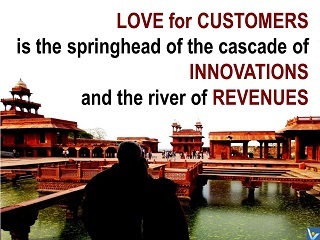 Introduce evolutionary value innovations to delight your beloved customers. Synergize your core competencies and capabilities to strengthen your competitive advantage. Harness the power of diversity, leverage and synergize critical opposites, create cross-functional synergies. 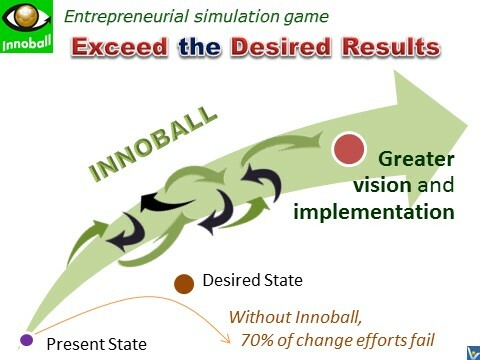 Synergize different perspectives to achieve strategic business success.